The upgraded version of the Huawei Ascend P6 was announced a few days back, now it seems that the company is working on the budget version of the device called the Huawei Ascend G6. According to sources, an unknown Huawei smartphone bearing model number G6-T00 has been certified in China. Interestingly, the device has marked resemblance to the Ascend P6 and as such is touted to be the affordable version of the smartphone, which could be called the Huawei Ascend G6. 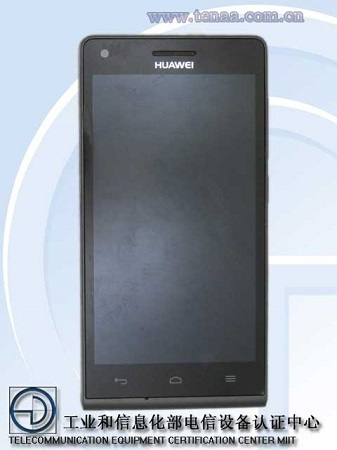 The Huawei Ascend G6 seems to have a 4.5 inch display based on the dimensions of the phone. Given that the phone would be priced in the budget range, we can expect a 1.3 GHz quad core MediaTek processor along with 1 GB of RAM and 4 GB of internal storage. Also expected is a rear facing 8 MP camera and a front facing 5 MP camera.